That’s right. And it comes from an economic reality that was evident even six years ago. That was when a small group of people with various pharmaceutical supply chain backgrounds had an informal discussion of the relative costs and impacts that each of the three primary business segments in the supply chain would face in a full deployment of Radio Frequency IDentification (RFID). As I recall, this conversation may not have even been part of the official proceedings of the project we were assembled to work on at the time. It may have actually occurred during one of the social hours after a day of meetings, but it stuck with me. Ever since that time I kept meaning to get around to creating the graphs that we envisioned at that time but have never gotten around to it, until now. The first set of graphs makes the important assumption that all perscription pharmaceutical sellable packages are tagged with GS1 Gen2 RFID tags with a Serialized Global Trade Item Number (SGTIN) encoding. It is further assumed that this is done under some kind of mandate to ensure that the deployment timeframes are kept short and in unison. You can see the relative costs of the deployment phases in each segment and how they might differ, relatively speaking, from the long-term, post-deployment operational phases. I’m showing the Chain Pharmacies breaking even over the long term because I think they will get a positive ROI in their warehouses, just like the wholesalers, but it will be offset by greater complexity inside their pharmacy operations. WHAT IF EVERYTHING WERE TO BE SERIALIZED WITH BARCODES INSTEAD OF RFID? The graphs and discussion above are interesting, but unrealistic. Currently we don’t have a mandate for a specific carrier technology like RFID, so what would happen if every manufacturer decided to meet the California pedigree requirements by applying only 2D barcodes instead of RFID? Of course, this may be equally unrealistic, but I want you to consider what this would look like before we consider a more realistic outcome. The greatest cost for the initial deployment is borne by the chain pharmacies again because of the large number of locations that need outfitting. Neither the RFID-only nor the Barcode-only supply chain’s depicted above will happen in the U.S. supply chain. That’s because there exists no mandate to force everyone to use one carrier technology or the other. Instead, we are most likely to find that most manufacturers will choose to comply with the California pedigree law by applying 2D barcodes-only to their units. The reason is easy to see by comparing the two manufacturer’s graphs above. If there is to be no mandate, would any public company choose to apply RFID to their products considering that cost difference? In my thinking, their stockholders won’t allow it. Of course, if the wholesalers had it their way then everything would be RFID. I can’t tell you how many RFID hardware vendors have asked me why the wholesalers don’t just demand it of the manufacturers. They look at how Wal-Mart gets away with mandating RFID of their suppliers and how those suppliers jump to it (well, sort of…). Why can’t the wholesalers in the U.S. pharma supply chain do the same thing? For one reason, there is no single 800-pound gorilla like Wal-Mart in our supply chain, and the “big three” U.S. wholesalers are not likely to get together and make joint demands like that for anti-trust reasons. But I think there is a secondary reason and it has to do with fee-for-service (FFS). Now, before I explain my theory, I have to tell you that I have nothing to do with any FFS negotiations. I don’t even know people who do that negotiation, so this is just a theory based purely on logic. See if you agree. FFS is an agreement worked out between individual wholesalers and individual manufacturers every few years. Essentially, the two parties agree on a fee that the manufacturer pays to the wholesaler for the distribution-related services they provide to the manufacturer. These negotiations are very sensitive and the results are a closely guarded secret. I know I’m making certain people a little nervous right now just by my writing these few words about it here. My point is this, if a wholesaler were to tell a manufacturer that they must use RFID instead of barcodes to serialize their products, even if communicated outside of the FFS negotiations, the next time FFS is negotiated, the manufacturer would likely be able to draw that requirement into the cost calculation and the wholesaler would probably lose in the end. But there are a few manufacturers who see value in RFID beyond compliance with serialization regulations like those in California. Those few manufacturers will be more willing to pay the additional cost to apply RFID to the units of all of their products. A few others may choose to apply RFID to the units of some of their products and barcodes to the others. Still others will apply both. Like the wholesaler, the initial deployment costs of the chain pharmacy will be higher because of the investment in the hardware and software of two technologies. The steady-state relative costs are similar to that of the wholesaler now too because their DC’s will face the same issues, and also because their pharmacies will now have to deal with added confusion about which technology must be used for each SKU. In the previous scenarios, the efficiencies gained in the pharmacies offset the negatives experienced in their DC’s, but in this scenario, the negatives are additive. Unfortunately, if my logic is correct, this is the most costly of all possible scenarios when viewed across the the entire supply chain. The pharmaceutical supply chain should not be considered a total loss for RFID enthusiasts because it appears that many pharma manufacturers agree that the cost of one RFID tag per case is reasonable considering the return they expect. This even includes many of the manufacturers who appear poised to use barcodes at the unit-level. But here again, nothing requires them to use RFID, and I know of a few manufacturers who have decided not to use RFID on anything, opting for 2D barcodes on cases as well as their units, so the supply chain will have to deal with dual technologies on cases (and pallets) too. And RFID may yet take hold with wholesalers for use in tracking their returnable assets (totes). We’ll have to wait and see on that one. This post contains a lot of speculation and I’m sure there will be other opinions out there. I encourage you to tell us what you think by leaving a comment below. Don’t be shy now. Dirk, your points and graphs are all on target. A group of us came to this same conclusion 6-7 years ago as well. In running some numbers, a large pharma company could incur tag expenses alone of $1.2B based on tag costs of $.30 each. Even if you adjust the tag costs down the hit to the bottom line is significant. But there is a couple of items you do miss that may impact this and make the unit level use of RFID more palatable. First, if the wholesalers agreed to be “impact neutral” and return some of their savings to the manufacturer that would help offset the costs. Why do this? Sure beats complying with mandate via 2D barcodes and having costs increase. But there are other reasons that a manufacturer might want to utilize RFID at the unit level. Manufacturers are very concerned with diversion, counterfeiting and importation. All of these impact their bottom line. Diversion (product going to customers not intended or at prices not intended) alone is a significant issue for many manufacturers. Also, return goods control and costs might be impacted with RFID use at the unit level. Of course, this would require improved data sharing of the unit level by all parties including chargebacks, returns, damages, shipping. With all these combined the graph for the manufacturer can dip significantly toward neutrality. And this does not even include gains from the use of RFID tags internally for inventory control and logistics. Let’s not give up on the idea yet. I agree with all of your points. The problem is, no matter what is negotiated between individual manufacturers and wholesalers–one pair at a time–the supply chain will still end up with a mix of RFID and barcodes. The result will be duplicate technologies, duplicate processes and confusion…all resulting in lower efficiencies at wholesalers and chain pharmacies. Without some overarching entity deciding which single technology everyone should use, we will have that duplication. I just glad we only have two technologies that could be used and not three or four! Oh, I forgot…RFID can be either HF or UHF. More duplication, and more confusion in the supply chain. Agree with your comments on the use of two technologies, assuming you could get to only two protocols, 2D DataMatrix and UFH Gen 2 RFID, as an example. Don’t forget the concepts of redundancy for automated data collection. In the case of RFID at item level, your backup would be a 2D barcode and if there was room 3rd level backup would text of the GTIN and Serial#, etc. There certainly is a cost to incorporating RFID and 2D barcode technology and processes. The technology does continue to improve in combining a mobile devices that can handle 1D, 2D and RFID. May be it is just a matter of evolution to proving serialization with barcodes, realizing the processing pain and evolving toward RFID where the processing efficiency gains can be achieved. Your points are valid on how to manage one case you need to potentially open or infer and the second where you could x-ray with RFID. Let us also not forget some of the physics constraints to RFID and the extensive need for RFID product testing of all materials. Good points, thanks. Your comment about two technologies on each unit for redundancy reminds me that I should clarify my point about the need for multiple reader technology. Having both RFID and 2D barcodes on each unit is the ideal situation for wholesalers and pharmacies. In that case, the serial number (the SGTIN) encoded into each of the two carriers must be identical. Having both carriers on every unit would be an even greater cost to be borne by the manufacturer, and it would allow each downstream trading partner to choose to read whichever carrier is most convenient at any given readpoint. This is distictly different from my comparison of one carrier technology with the other because my analysis assumes that the manufacturer chooses to apply only one or the other. Thanks for reminding me about that. I’m very skeptical about the combined barcode/RFID mobile devices that you mention, but I have not tested any of them. It seems to me that the physical motions…the “aim” of the device would depend on which technology the user was attempting to use at a given time. I suppose that’s just a training issue and users would get used to it. In a world where multiple reader technologies are a must, these devices will be essential. I just hope they work well and they don’t break down twice as often. Dirk – You summed up what our customers (packagers) are saying. Few of our customers are open to tagging at a carton level if the supply chain partners require. Most of our customers will tag case and pallet. Almost all of our customers prefer 2D serialization at unit level. Have you factored in your comparative analysis the benefit differentials between the two major technologies under consideration? This has to be a signification consideration in determining the final selection. Excellent blog and I think this post is right on the money, based on discussions with customers and what I’m reading elsewhere. This is a good article and if you don’t mind I would like to put another slant on it if I may. The issue of counterfeiting and illegal diversion is most acute in Asia where the supply chain is the highly fragmented with a large number of regulatory hurdles. This is the largest growth area for Pharmaceutical and Healthcare products and yet this region is often forgotten about. Direct to pharmacy here is not an option. Cost of equipment and the lack of standards are also major obstacles. Implementing any new technology in this environment is a huge task. This is made much more complicated when one considers that the different countries wish to pursue their own regulations – Korea & China to name a few. Having studied both options in depth, serialisation is the only option going forward. That said it has some big challenges in capturing and managing the data that becomes attached to the serial number as it moves through the supply chain. There is a lot of talk about sms (text message) authentication/serialization too. Check yesterday’s wall street journal and google businessmonitor’s article about a program by the regulatory agencies in west africa. Full disclosure, I work with a vendor who sells analytical instruments. Authentication at the molecular level is done in the field today. There are several techniques, and the use of handheld vibrational spectroscopy is growing favor with regulators, customs, and brand-security teams. Namely the use of Raman and NIR (near infrared) based instruments. NAFDAC (Nigerian FDA) has announced their multi-level strategy to combat counterfeits but also substandard drugs. They are employing a series of complementary and confirmatory techniques from packaging authentication to tablet/injectable/capsule authentication using Raman spectroscopy and MiniLab kits. 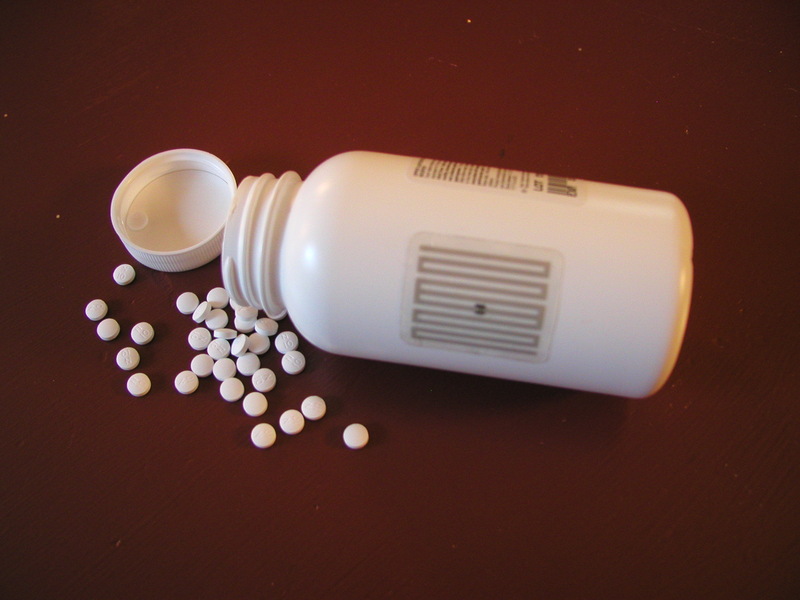 Substandard drugs can be as dangerous as counterfeits. Degradation at the molecular level of pharmaceuticals, vaccines, anti-malarials through exposure to light, temperature, expired, and humidity can cause the authentic drug to have less effectiveness, or no effect at all. I read the blog with interest but wonder, RFID is a fantastic tool and has several benefits to different areas of any supply chain but, surely it does not have to be all or nothing? Using RFID to shipping carton level has benefits for everyone as demonstrated in the graphs. RFID at individual carton level has limited gains for warehouse and local pharmacie stock control but at local level this has to be offset against the high cost of setup. RFID however, I feel is not helpfull at individual item level and its costs far out weigh any benfits. This level would be far better served by 2D codes. There should be no problem using 2D codes on blister or vial level etc. Then aggregate these with RFID on the consumer pack and shipping container. In this way all parties can profit and still complete the data trail. “New testing and Research confirms RFID is OK for Tracking and Monitoring Biopharmaceuticals.